Looking to balance a life of adventure, purpose and connectivity I sought out to start a small sea kayak and surf adventure operation. I was seeking to find a remote location that felt back to basics, natural and rather simple. The area also needed to have world class surf, fun beach breaks for surf classes and most importantly an area of interest with an in tact ecosystem and unparalleled beauty for sea kayak adventures. I had read in International Living that Panama was a safe, stable country and when I ventured to Santa Catalina and stumbled across the relatively unknown UNESCO Coiba N.P. I knew I had found what I was looking for, and so much more. 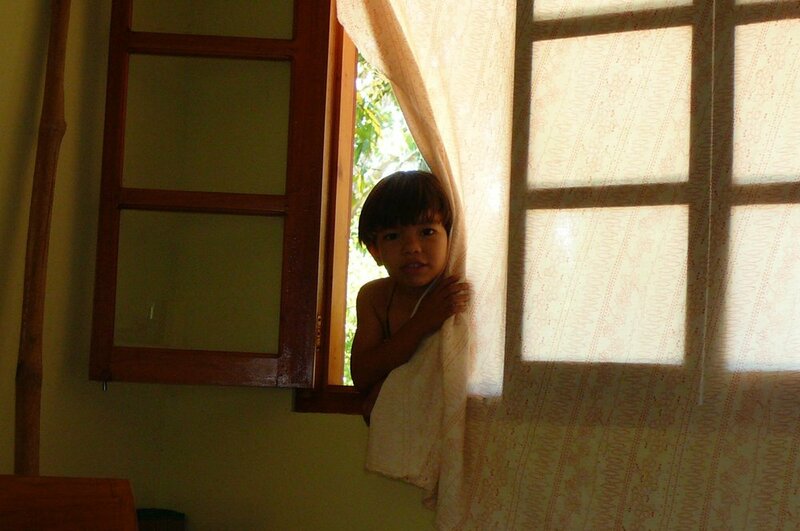 Instantly, I fell in love with Santa Catalina (Feb 2007) and knew I wanted to make this my home base. The village and friendly vibe flowed. In the early days there was one town phone (no cell reception) that was one gathering area and the other was the palm tree at Town Beach. It was here, at this tree, that the cooperativa and elders of the village met to discuss issues and make collective decisions. It was here where I expressed (in very terrible Spanish) my intentions to start an ecotourism kayak/surf business and was accepted by the community to do so. 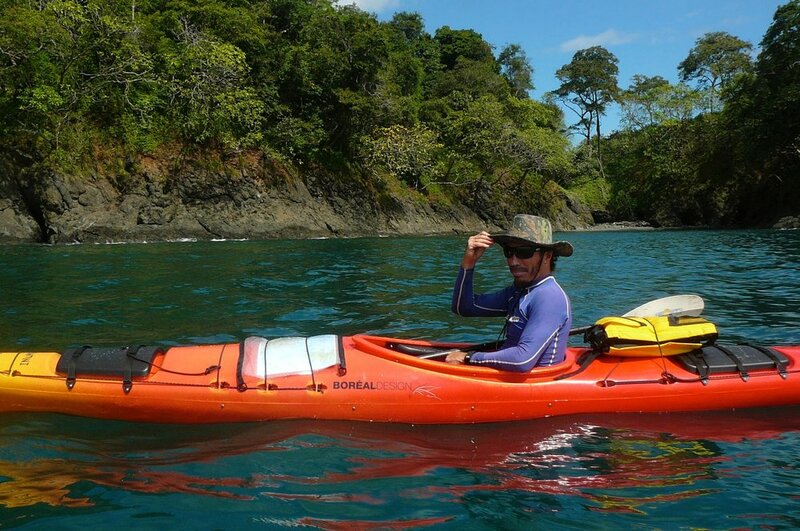 I sought to find kayaks in the area, then in the country, to explore the Coiba area. I was unable to source any kayaks (I was that far ahead of the tourism curve in Panama) so I had to invent our programme with creative visualization. Calling upon the experience of some locals, my new friend/guide Javier and park rangers I explored the beaches and area that would become our major paddling area..the protected South East area of the Park with its many islands provides the perfect paddling/camping environment. So I found a lawyer, set up a corporation, opened a bank account and began my diligence. I went back to Canada, ordered a fleet of single Inukshuks from Boreal and double Belugas from Wilderness Systems, a range of BIC surf boards, proper tents and a complete outfitting kit. A 20ft container was delivered to a freind’s warehouse in Mississauga that would eventually be less than half loaded and shipped to Panama. During this time I also created our original long gone website, logo, brand etc etc.. This is where things got interesting (and nerve-wracking). I returned to Panama (Nov 2007) to meet with an import specialist and eventually signed over all the contents of the container to this operator. I was so nervous about this but decided I needed to trust the universe. All of a sudden I got a call saying I was to meet on the side of the road as a fruit and veggie truck had been sourced to transport my gear from Panama City to Santa Catalina. It was all a little confusing but it did work out. And thus Fluid Adventures Panama was born. But it didn’t stop there. No it was only the beginning! We still needed to figure out operations and how were we going to get the kayaks out to Coiba for the inaugural trip scheduled for Feb 2008? This is where Captain Sammii Came through. 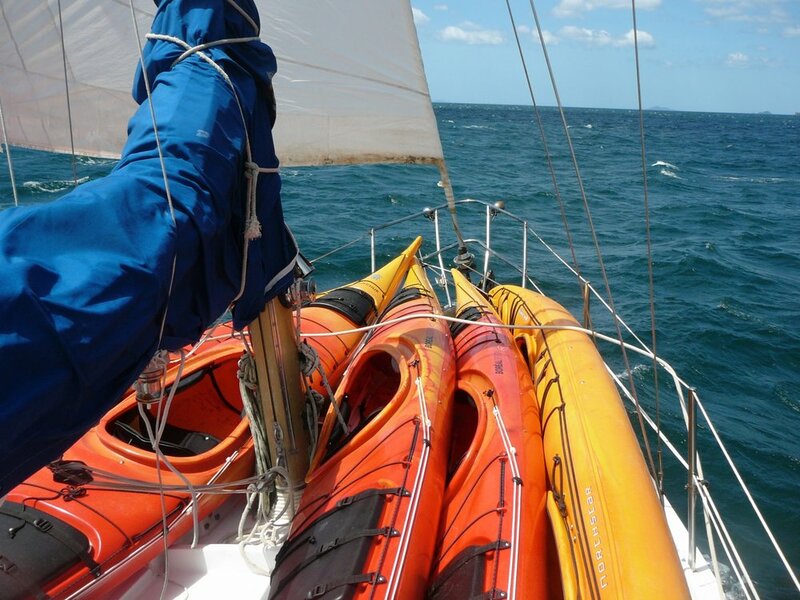 We loaded the kayaks, our surfboards and sense of resolve and sailed off from Catalina to Coiba. Once we reached the ANAM ranger station, I jumped in the water, we threw the kayaks overboard and I tied them together and towed them to shore. Securing a safe place to store the boats was huge piece of concern and a relief to me once in place. To celebrate we continued ‘round the back side (West) of Coiba and anchored to explore and surf for a few days before sailing back to town. Many people supported my dream and this vision along the way. I am so grateful for all the love, encouragement and support received to see this to fruition. Dreams do manifest if we’re fortunate to have the support, the drive and good fortune along the way. Counting my blessings and in full gratitude..we get to share this area of infinite possibilities with an exceptional team and, of course, you!